Staplehouse is a casual neighborhood restaurant, located in the heart of Atlanta's Old Fourth Ward. Staplehouse is a for-profit subsidiary of Giving Kitchen. While your meal from Staplehouse is not tax-deductible, all after-tax profits from the restaurant will ultimately benefit Giving Kitchen. 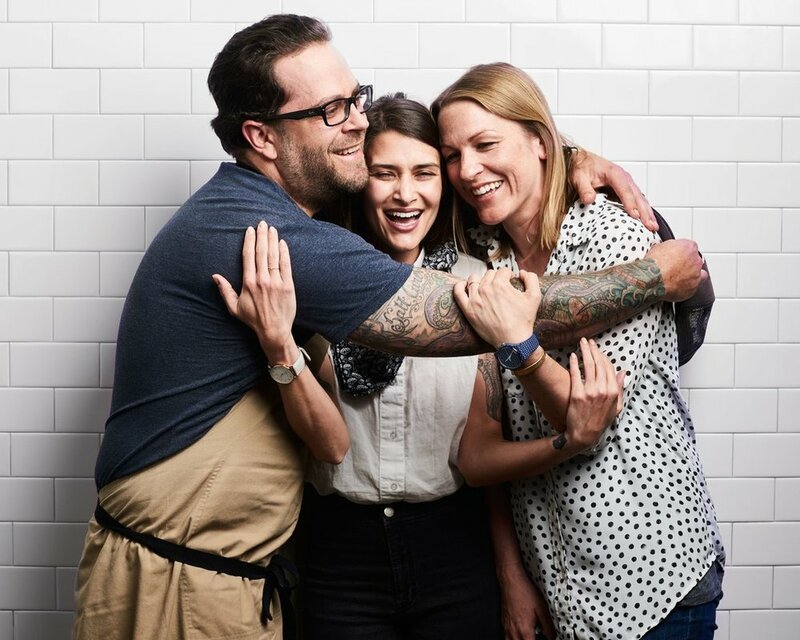 Staplehouse is operated by Jen Hidinger-Kendrick, Kara Hidinger, Chef Ryan Smith - and forever inspired by Chef Ryan Hidinger. For more information, visit the Staplehouse website. In January 2009, my husband Ryan and I started an underground supper club called Staplehouse. Every Sunday, we hosted 10 guests for dinner at our home in Grant Park. We built many strong and lasting relationships - and shared some pretty amazing food and stories along the way. On Labor Day weekend of 2009, we hosted Tacos at Hidinger’s and had 200 guests over for a whole pig roast in our backyard. 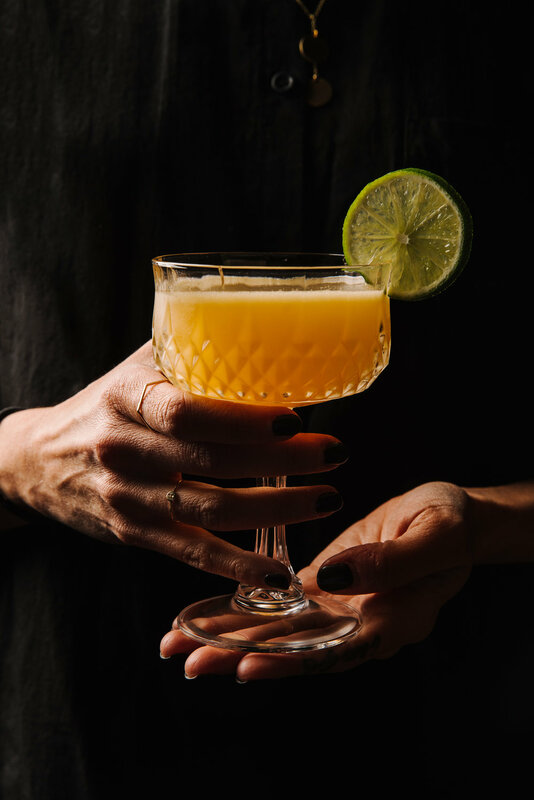 We served handcrafted drinks, fresh tacos and scratch pazole. It was a memorable night that kicked off a series of successful dinner parties and events. The next year we teamed up with Brick Store Pub to host an intimate 40-guest family style dinner. That fall, we partnered with Love is Love Farm to create a feast for 45 people. We had so much momentum, and we dreamed about opening a restaurant one day. On December 21, 2012, Ryan was diagnosed with stage-IV gallbladder cancer. The cancer had spread to 90 percent of his liver and a portion of his lungs. He had a less than 5 percent chance of survival and only six months to live. He was 35. Overnight, everything we were working toward came to a screeching halt. Nothing else mattered. Staplehouse was put on permanent hold. In the weeks that followed, our friends, family and Ryan's cancer treatment family surrounded us with a tidal wave of love and support that forever changed our perspective on life. We started talking about the restaurant again, along with Kara Hidinger and Ryan Smith. A middle-of-the-night email from Ryan Turner of Muss & Turner’s, where Ryan had been chef for eight years, added the final jolt of energy we needed to revisit the dream. He offered his support, and we knew that Staplehouse had to become a reality. But this time, it would be re-imagined to tell a story of hope and positivity and to help support the industry that had been so good to us. So we got to work finding the best care for Ryan while Ryan Turner, family and friends did what people in our industry do best: they formed a committee and planned an event called Team Hidi that raised $275,000 to aid in our medical battle, thanks to the generosity of our community. It was that night that propelled the intent for Giving Kitchen, which we co-founded in 2013. Giving Kitchen provides emergency assistance grants to Metro Atlanta restaurant workers who face unexpected hardship. We lost Ryan in January of 2014; however, his legacy is alive in Staplehouse and Giving Kitchen. We officially opened the doors to Staplehouse in September of 2015, and every bit of the restaurant’s profits after taxes go to Giving Kitchen. Staplehouse isn’t meant to be the one and only place you go to eat or drink, but when you come in, we hope you’ll feel like a guest in our family’s home. We want to offer you an experience, matched with great food and beverage that you’ll remember for years to come. And we’re doing it all for a cause we care deeply about. It's not just the food at Staplehouse winning awards, it's also the building itself, thanks in part to the right combination of finance, design and construction talent. We will forever be indebted to these three companies, who believed in Staplehouse and Giving Kitchen from the beginning. After years of working with Ryan and Jen to find the right place to build the restaurant into which they poured their heart and soul, it was an honor to build Staplehouse. This project, of the hundreds I've been a part of, carried with it more meaning and purpose than any other. When you dine with the folks at Staplehouse, know one thing for sure; the team of loving people that solved the riddle of how to provide for the people who serve us all and ultimately turned that creative idea into a working reality are the best of the best. The restaurant community has been very good to us here in Choate and we are delighted to be able to contribute to the cause of Giving Kitchen and memorialize Ryan's legacy in a meaningful way." "Iberiabank has significant relationships in the restaurant and hospitality industry in Atlanta, as we have supported the growth of many restaurants which have created additional employment opportunities while expanding the local economy. 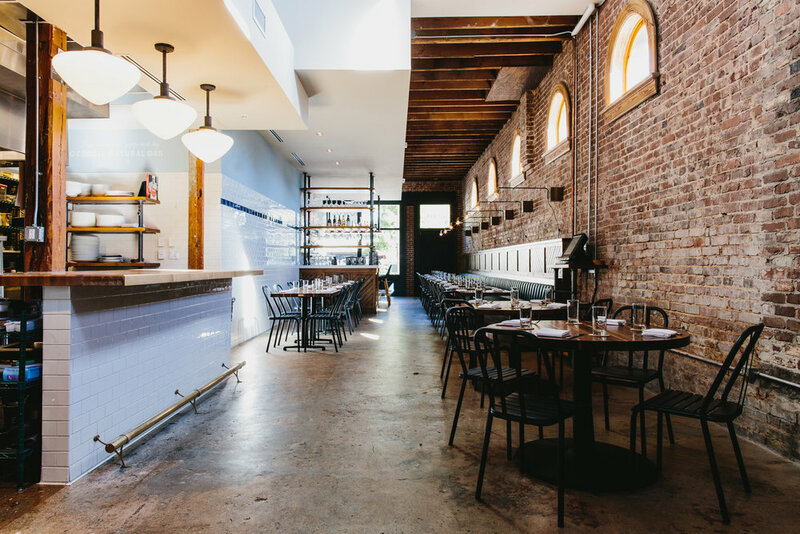 The financing for Staplehouse was an excellent opportunity for Iberiabank to support the mission of Giving Kitchen which will improve the lives of the employees that serve the public in the Atlanta restaurant industry."